We hope everyone had a great first week! 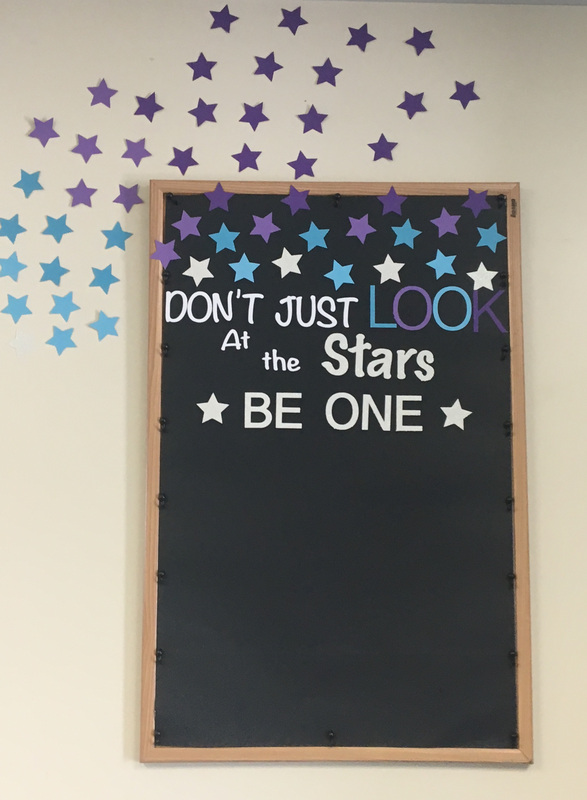 We wanted to tell you about our “BE ONE” bulletin board that has been added to the lobby this season. This board gives teachers a chance to select dancers each month that have accomplished any sort of goal that they may be trying to achieve. Those dancers will have their picture taken and hung on the board by the teacher that has selected them. At the end of the month the staff will choose one recreational student and one competition student from the board who will be featured on the studio facebook and instagram pages. The studio staff recognizes that each child has different challenges. Our hope is that the Be One Board will encourage all dancers to strive to do their best no matter how big or small that challenge may be. Best wishes to all of our dancers for a fulfilling year!